This striking taupe brown and grey cowhide rug is everything you’d expect from a premium cowhide rug, without the premium price tag. The markings on each cowhide are individual so you know you are getting yourself a truly one-of-a-kind piece – we photograph each and every cowhide rug, so the cowhide shown in the picture is the exact one you will receive. 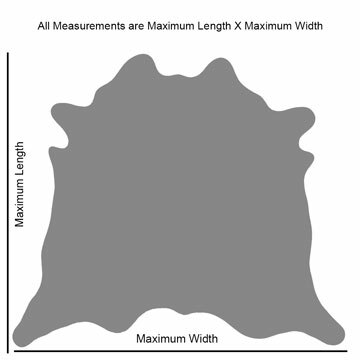 This cowhide rug measures 249cm x 200cm – measurements are taken from the widest and longest points of the hide.